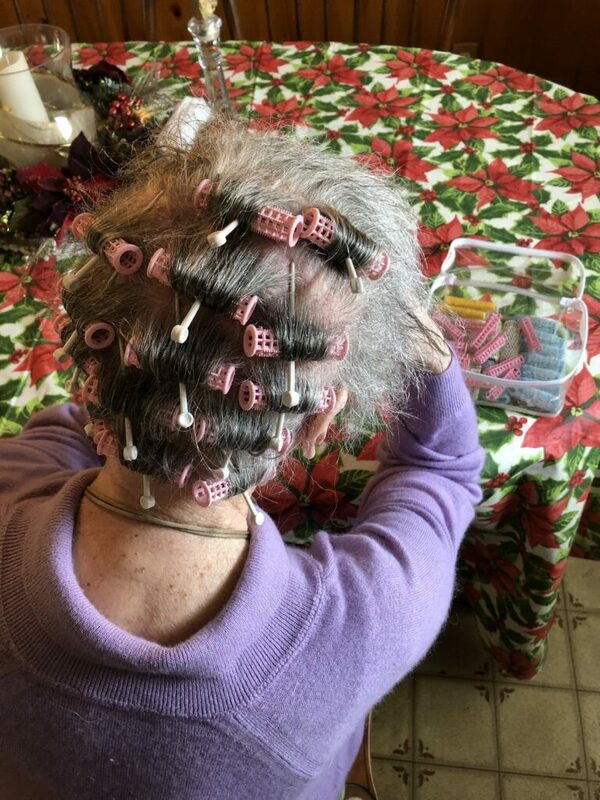 This post about aging at home with Caregivers is close to my heart. Thank you to Anthem Blue Cross for partnering with me on this sponsored post. Over the years, I have shared my challenges with preparing my children for adulthood and becoming an empty-nester. Truth be told, I am less sad now and more excited about this new phase of life with my husband. Both of my children are happily married now to wonderful spouses and I count myself blessed. I’ve also shared the challenges of being part of the Sandwich Generation where we have children at home while caring for our aging parents. My dad passed away 9 years ago, however, I still have my mom who is now in her 90s. When I moved to the opposite coast as a young woman, I did not stop for a minute to realize this meant I would not be close by when my parents needed me the most. I still struggle with this decades later. 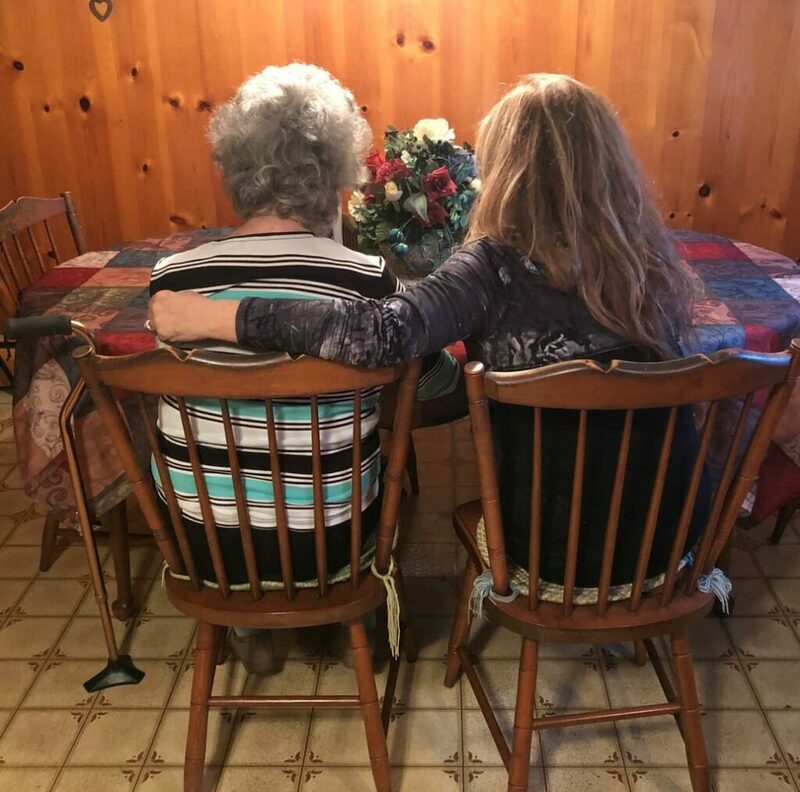 One of the reasons, I became a full-time blogger was that it has given me the freedom to spend time with my mom which I now do several times a year. Fortunately, my siblings live a lot closer to her although they are still busy raising their children. To fill in the gaps, we have assembled a wonderful team of caregivers who help make it possible for our mom to still live at home. The new package of benefits, which Anthem and its affiliated health plans, including Anthem Blue Cross, provides a choice of wellness services including healthy food delivery, health-related transportation services, adult day center visits to help reduce loneliness, personal home helpers to help with daily activities at home and pain management. Anthem Blue Cross has plans that provide high-quality services and innovative solutions to help keep individuals safe in their homes as long as possible! My dad was a life long teacher and educator and he did a fantastic job saving and providing for our family. I still marvel at what he was able to put aside on a one-income school teacher’s salary. Watching my parents do more with less was the impetus for my blog. 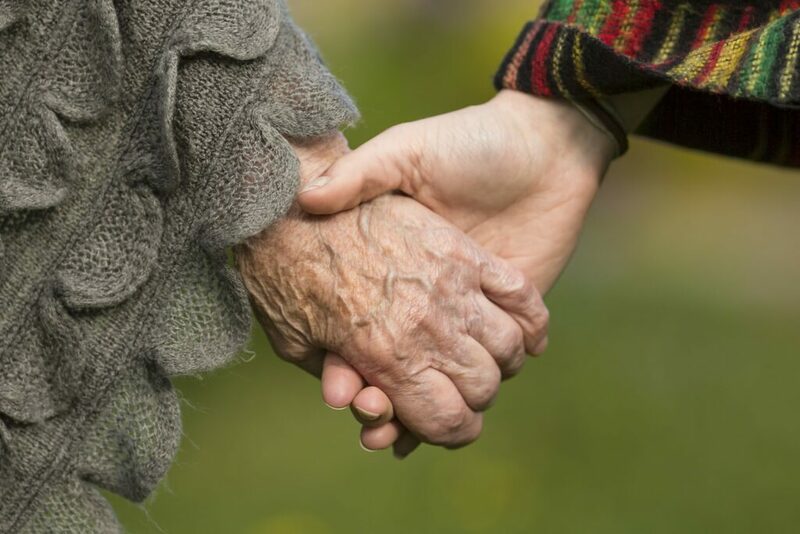 If you are in the Sandwich Generation stage of life and in need of caregivers for an aging parent, I wanted to share our tips with you and also invite you to share your ideas. We can help each other and learn from each other. It is a tough role to fill on your own. Mom is comfortable in her familiar surroundings and we have found joy in the simple things. There are times when we get melancholy and worry about the changes to come but have to remind each other that just for today, things are stable and we try not to let future worry rob us of today’s blessings. 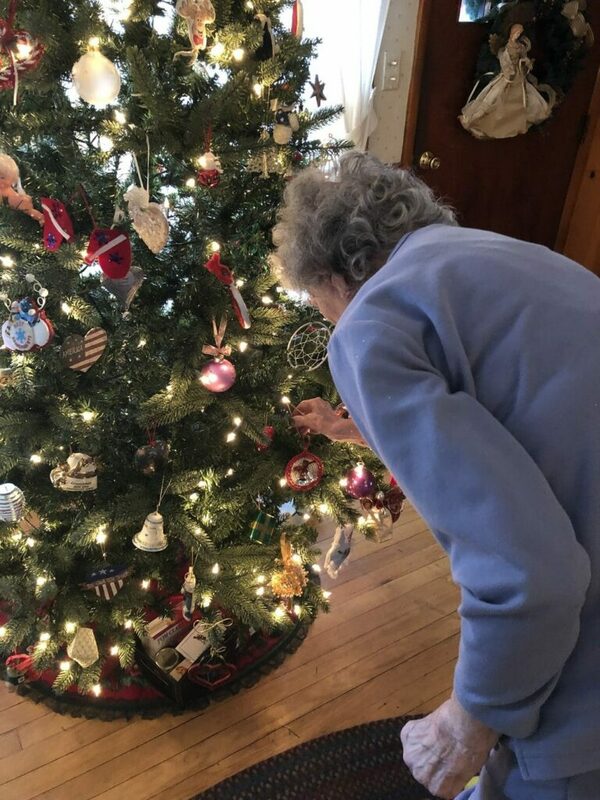 My sister put up the Christmas tree for her and we loved seeing Mom looking at the treasured ornaments we have saved throughout the years. For us, it takes a team effort of eyes and ears to coordinate the care of our mom. In addition to her four children, we use a team of three caregivers to cover all of the daytime hours. Not only does this give her the extra hands at home that she needs, but it also provides interaction and companionship to avoid loneliness. Once mom is put to bed, we use a camera and a life alert-type monitoring system until her caregiver comes in the morning to get her out of bed. During her day, we use detailed lists to coordinate her care so that no matter who is attending to her, we are not letting anything fall through the cracks. We have found that this is the easiest way to communicate and divide responsibilities. When we sat down to make a list of tasks that she would need help with, we were surprised at how many there are. 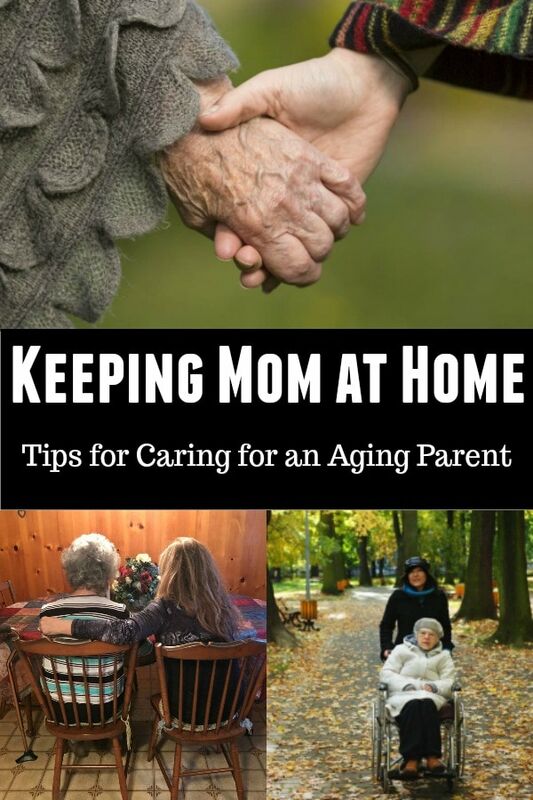 If you are in the beginning stages of caring for a parent who is aging at home, I hope our list can be helpful to you. 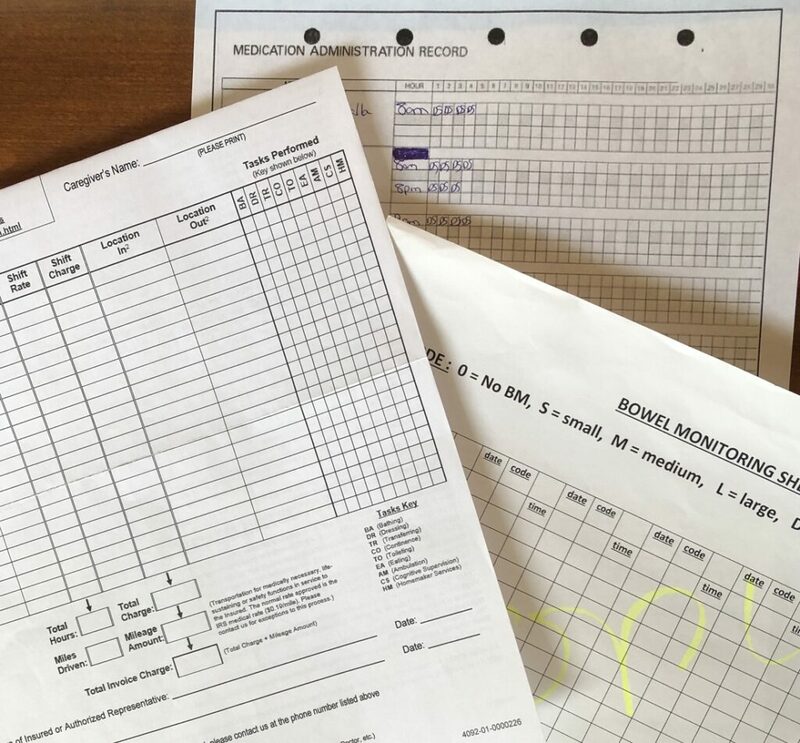 If your parent is on multiple medications, you will need a medication chart so nothing gets missed. We need to also monitor bowels and water intake. We also use another chart to keep track of a bathing schedule and simple things like setting her hair which she still enjoys. You may need one for haircuts and other items such as exercise. 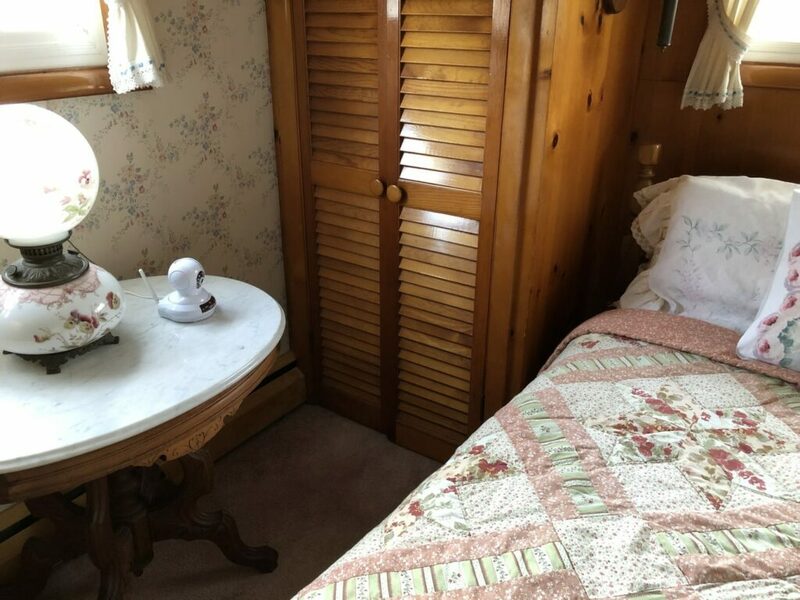 Our primary Caregiver does the light house cleaning, laundry, grocery shopping, meal planning, and preparation. If you use multiple people for these tasks, you will want to have a tracking system in place. If your parent has pets, then you may need to arrange for help with them too. My brother and his wife take care of scheduling home repairs, paying bills, paying taxes and managing her finances. They also arrange for home maintenance such as grass cutting and snow removal. Now that we have home helpers, we don’t need to take time off or rearrange our schedules to take her to her medical appointments. Her trusted caregivers take her to medical appointments along with a list of any concerns or observations we have and then they send a group text to keep us all informed after the appointment. Her Caregivers also help her to pick out and mail birthday cards to the grandchildren so she never misses a birthday or graduation. Continually assess the home for safety. Are their rugs that can be tripped on? Are their grab bars in areas where they are needed? If your parent may wander off, do you need a personal alert device? Reach out to their other friends and family members and ask them to visit. Coordinate on a calendar so they are not all coming at the same time. Try to arrange outings with friends for meals and for church if that is something they have always enjoyed. Find activities such as word searches, puzzles or looking through old photographs to stimulate their mind. To learn more about Medicare, Medicare eligibility, coverage options and how it all works, simply visit the Anthem Blue Cross website. Now it is your turn to share your tips! 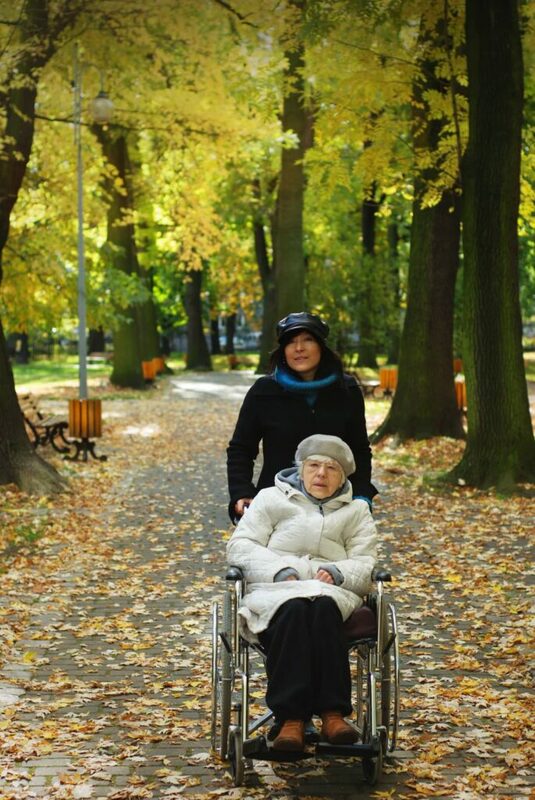 Are you caring for a parent who is aging at home? We would love to hear from you. This is a sponsored post written by me on behalf of Anthem Blue Cross. Great tips! It truly does take a team when parents need more assistance as they get on in years. Disclaimer: Nothing contained on this website is intended to constitute professional advice, including but not limited to, medical, legal, or financial advice. All information is provided "as is" without warranty of any kind. Views expressed here do not necessarily represent the views of this website or it's employees, contractors, users, or sponsors. Readers are expected to do their own research before making any purchases.